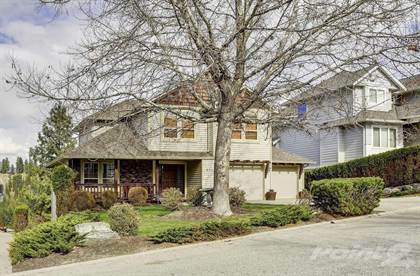 I am interested in 4725 Parkridge Dr, Kelowna, BC. 4725 Parkridge Dr is a - square foot House for sale in Kelowna, BC V1W3A5. It has 4 beds, 4 baths and was listed on Ovlix.com since March 18, 2019 by Ici Source Real Asset Services Inc. for $769,000. Listing agent: James R. Tasca. The average price for similar 4725 Parkridge Dr real estate listings - $1,201,700 which is 31% higher than $827,047 for Kelowna, and 28% higher than $985,429 for British Columbia. Comparable nearby homes are: 379 Curlew Court,, 368 Uplands Drive,, 1279 Steele Road,, 4735 Parkridge Drive,, 504 Trumpeter Road,. What's near 4725 Parkridge Dr, Kelowna V1W: Immaculata Regional High School, Denny's, Kelowna General Hospital, Sunset Organic Bistro, St. Hubertus Estate Winery Ltd., KLO Creek Regional Park, Summerhill Pyramid Winery, East Kelowna, Wild Apple Restaurant & Lounge.